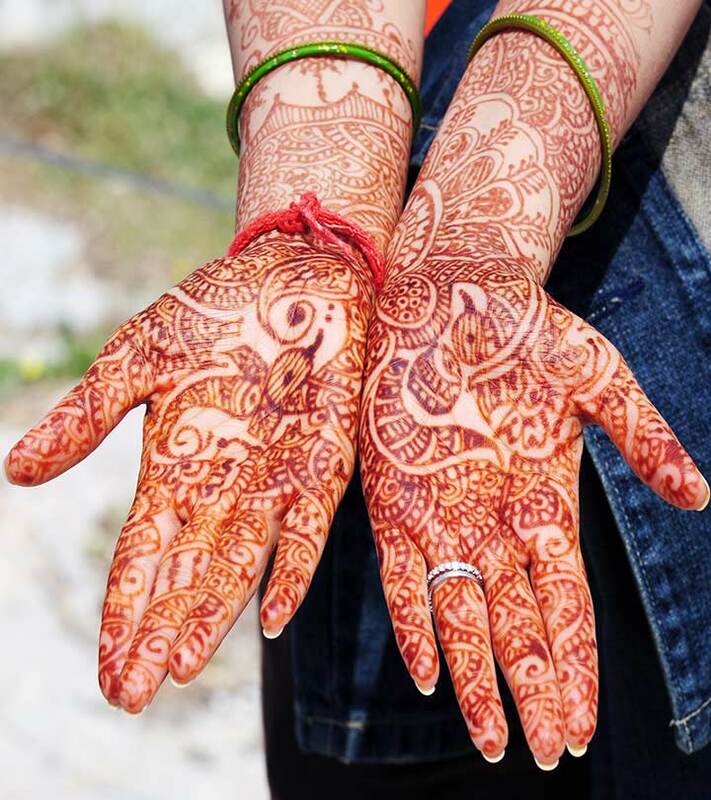 Mehndi has emerged as one of the finest arts that involve drawing intricate design patterns on the hands and feet using mehndi or henna paste from plastic cones. 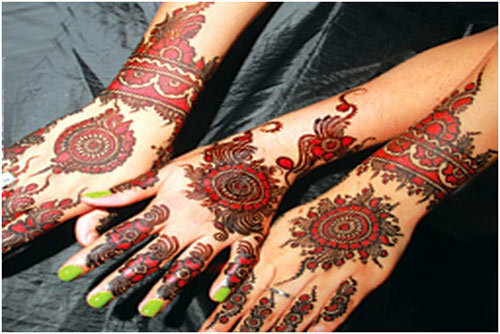 This art has evolved over the years and the mehndi designs today are diversifying on the basis of styles and patterns. 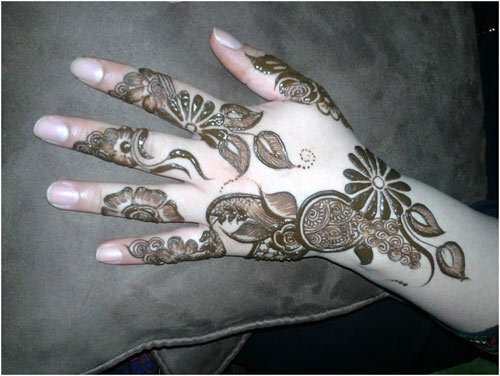 Bombay style mehndi is a classic example. It is an intricate and contemporary style that is also infused with traditional patterns, depending on the theme of the occasion like the wedding day, Valentine’s Day, Eid, to name a few. 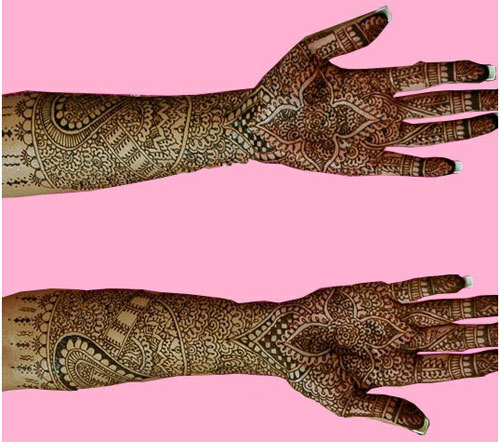 There are several Bombay-styled mehndi designs that require immense talent and perseverance to recreate. 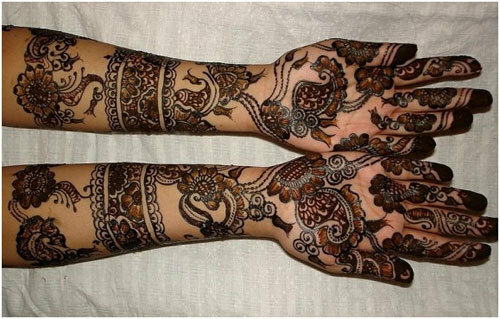 This style is not patented byanyone in particular; however, the trend of getting Bombay style mehndi done is very popular and highly in demand. 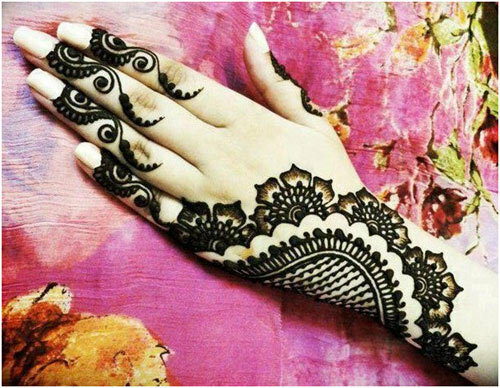 The credit goes to the artists who have originated from this city and improvised the concept of mehndi application from an art form to a stylish fashion accessory. 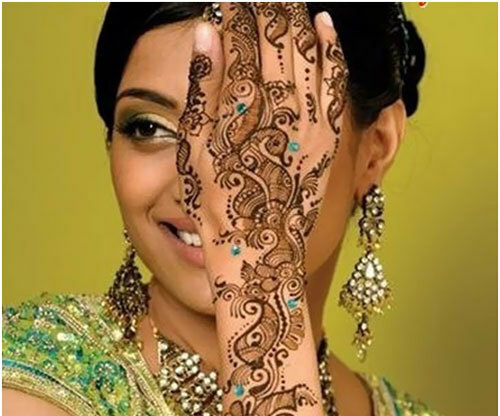 This article talks about the top ten Bombay style mehndi designs. This pattern is best for those who are not in favor of intricate designs. Those who prefer simplicity in designs that are well spaced out will find this appealing to the eyes. This pattern is reasonably priced for those who have a constricted budget. This pattern is a stylish floral one that spreads till the elbows. It would look better on slimmer girls and can be applied quickly. 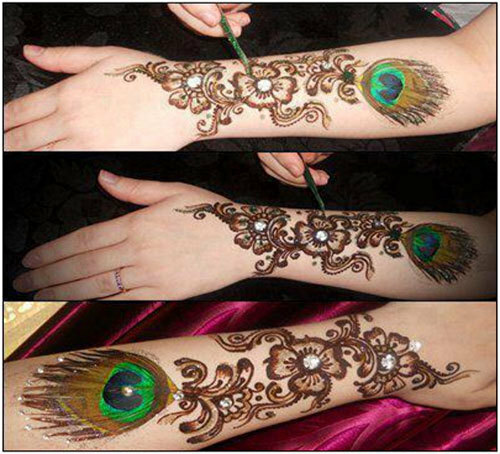 So those who are short of time and yet prefer Bombay style mehndi can opt for this design. 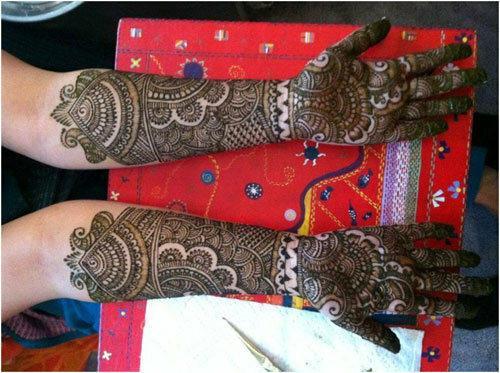 Another exquisite pattern which has a combination of paisleys and floral patterns, this Bombay style mehndi design is ethnic and favored by those girls who have a traditional outlook. This Bombay style mehndi design is specially etched, keeping the Valentine’s Day theme in mind – it is based on the peacock feather pattern which is a symbol of love. This is favored by a lot of young love birds who want to impress their beaus. This is a bridal design that is intricately done in the Bombay style. It follows the zardosi style of jali work. It provides a very rich and ornamental look, adding to the beauty of the bride. Application of these designs requires a lot of patience both by the applicator and the person who is getting it done. This is a theme-based pattern usually applied on religious festivals like Eid. It is subtle and light. The pattern is in a crescent shape that depicts the moon. This floral pattern with “bel boota” work is easy to apply and looks good on all occasions. It is simple but based on the Bombay style. 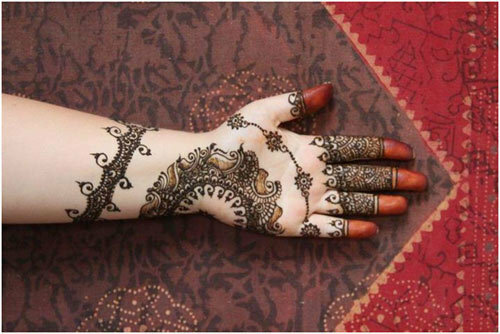 This pattern is strictly based on motifs and is influenced by the Arabic style of mehndi. It is highly in demand in countries like Pakistan as it is very ornamental. It looks good on all age groups. This is another motif based pattern with a combination of jali work. It is contemporary and looks wonderful when applied on the occasion of weddings and other general functions. This innovative pattern incorporates scallops and jali work that are based on the theme of the wedding. 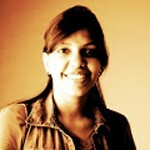 This pattern involves expertise, and designers who excel in this field can do justice to this pattern. 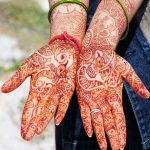 Basically Bombay style mehndi designs are famous around the world, and artists from all over India have tried to master it and enhance their proficiency. To apply this style, one should have a knack for drawing details. The popularity of this style surpasses other patterns as it is well in demand on all occasions. The craze for this particular style exists due to the glamour quotient that the city has, the shadow of which is well cast upon this art and named after it.